This show has been rescheduled for a future date TBD. Will announce here when we have the date pinned down. Sorry, but we will have them back soon, they are amazing! The Maggie Valley band is Dark Appalachian music. A raw blend of Appalachian music intertwined with a heavy sixties influence. Hailing from Haywood County, North Carolina, two sisters and friends of the Maggie Valley band came together in the town they now identify themselves with. Each member learned their trade of music in the beautiful mountains of Maggie Valley, NC. Sisters Whitney & Caroline Miller grew up in a home where playing the piano was a daily requirement. The Maggie Valley Band has been influenced by a wide variety of artists, movements, cultures, and ideas. 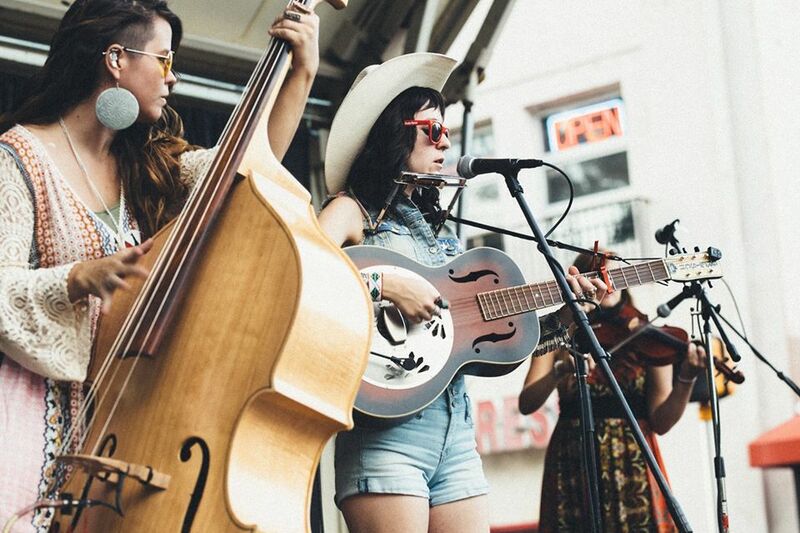 Each member grew up listening to and taking in the styles of various musicians ranging from the Stanley Brothers to Simon and Garfunkel, with inspirations from the Band, and more local artists like Rising Appalachia, yet adding their own personal style.